The 2018 Toyota Corolla arrives with conservative yet sporty styling and plenty of technology inside and out. The latest model comes stocked with Toyota Safety Sense™, a safety suite full of advanced technology designed for the modern road. 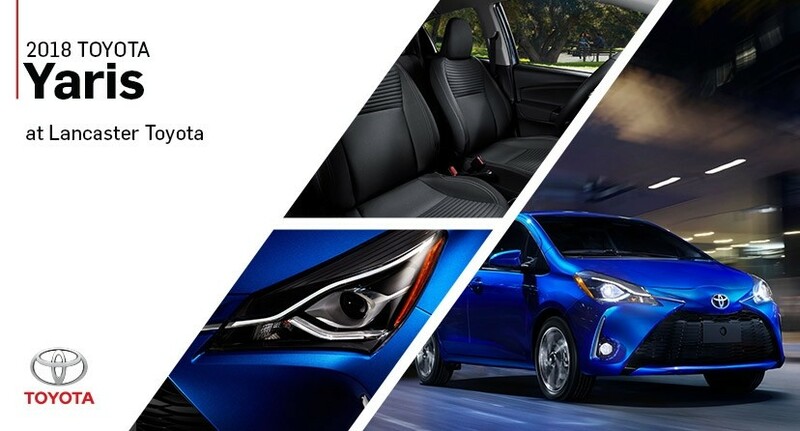 An available seven-inch touchscreen display system equipped with Navigation and Entune™ Audio Plus make the Toyota Corolla a crowd-pleasing compact car. An updated profile and tech-savvy interior are on the docket for the 2018 Toyota Camry. The midsize sedan continues to lead the midsize sedan segment thanks in part to its affordable pricing. The latest model features a refined engine that offers better performance and fuel economy. The athletic stance and low profile gives it distinguished sophistication on the open road. Like its younger sibling, the Toyota Camry comes with the standard Toyota Safety Sense™ suite. The 2018 Toyota Avalon is a refreshing fusion of style, efficiency, and performance. The affordable full-size sedan features a spacious cabin lined with upscale materials. The sophisticated stance and high efficiency make it a favorite among contemporary drivers. A sporty V6 engine continues to offer substantial power for those craving a high-performance sedan. The Toyota Prius is likely the most well-known hybrid vehicle in the world. The 2018 Toyota Prius continues to grow with an updated hybrid powertrain. Since a full redesign back in 2016, this model has received only subtle modifications. With the 2018 Prius, drivers can expect high efficiency, low emissions, and a spacious interior that’s perfect for the whole family. The 2018 Toyota Yaris features styling cues drawn from the European market. Its sporty styling and functional design make it an excellent commuter car. Its small size, ideal for urban roadways, offers plenty of cargo space. This subcompact car delivers a simple yet practical design. Affordable pricing and impressive efficiency are two features that drivers tend to love in the Toyota Yaris. When Toyota discontinued the Scion FR-S, it became the Toyota 86. The sports car quickly gained traction among enthusiasts. Its powerful engine and design aesthetic make it easily identifiable from a distance. The 2018 Toyota 86 will likely feature more comfort features including automatic climate control; that makes it the perfect ride for cruising down the interstate in complete comfort, no matter the weather. 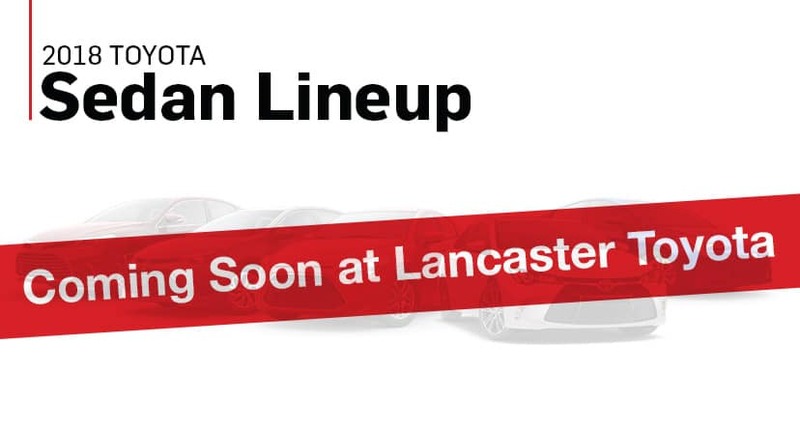 See the 2018 Toyota lineup in person at Lancaster Toyota. The 2018 Toyota Sienna arrives in style with a refreshed design and updated interior. The minivan seats up to eight passengers and features an impressive number of standard safety features. 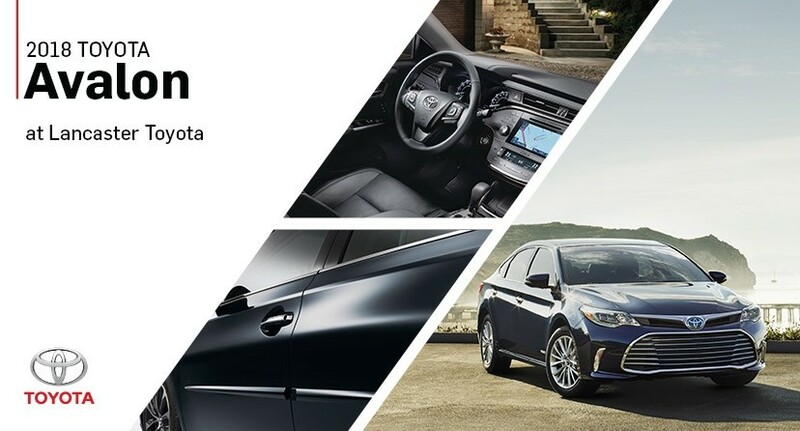 The 2018 Sienna also manifests the latest version of the Entune™ infotainment system. A model designed for adventure, the 2018 Toyota RAV4 brings athletic styling to the road. Available with an all-wheel drive configuration, the crossover offers impressive capability while earning excellent fuel economy. The Toyota RAV4 features a crisp design with numerous wheel options that allow drivers to customize their ride. A vast cargo area and upscale comfort features, such as available heated seats, make every ride an enjoyable one. The first-ever 2018 Toyota C-HR features a stylish design with an aesthetic that no competitor can match. The crossover features twisting curves, an intimidating front end, and a low profile that makes it a wonder to behold. Available from an affordable price, the Toyota C-HR earns excellent fuel economy and can seat up to five passengers. The first-ever model boasts standard active safety technologies thanks to the Toyota Safety Sense™ suite. Luxury meets capability in the 2018 Toyota Land Cruiser. The top-of-the-line SUV taps into the power of a standard V8 engine and comes filled with premium amenities. The latest model features Multi-Terrain Select and Crawl Control that allows it to traverse rough roads with ease. Capable of seating up to eight passengers, the Toyota Land Cruiser is a luxury SUV that will exceed your expectations. The 2018 Toyota Highlander is an SUV designed for families who prioritize safety and modern conveniences. With seating for up to eight, the Highlander offers five USB ports, available LED daytime running lights, and an available direct-injection 3.5-liter V6 engine. An added perk on this model is the standard Toyota Safety Sense™ P suite, which includes Lane Departure Alert with Steering Assist, Dynamic Radar Cruise Control, a Pre-Collision System with Pedestrian Detection, and Automatic High Beams. The 2018 Toyota 4Runner is the rugged off-road SUV you’ve been searching for. It retains the same body-on-frame construction that has served the 4Runner well for 30 years and offers available Crawl Control and Multi-Terrain Select. Make your off-road adventures easier with helpful utility features, like the available sliding rear cargo deck and power rear glass. But rugged off-road adventure doesn’t mean you can’t enjoy the finer things, which is why Toyota has added features like the 6.1-inch touchscreen display and available heated and ventilated front seats. The 2018 Toyota Sequoia is powered by a potent 5.7-liter V8, enhanced by the available Multi-Mode 4WD system. In total, the Sequoia offers 7,400 pounds of towing capacity. Being a large SUV, the Sequoia boasts an incredible amount of cargo space and three rows of seating, protecting all passengers with the standard Toyota Safety Sense™ P suite of technology. The 2018 Toyota Tacoma is a midsize pickup designed for those who want the most bang for their buck. The latest model features a number of innovative features, excellent off-roading capability, and a rugged style that will turn heads. The Toyota Tacoma will receive new standard active safety features as the brand continues to expand the Toyota Safety Sense™ suite. Active safety technology features include Automatic High Beams and Adaptive Cruise Control, just to name a few. The 2018 Toyota Tundra is one a handful of full-size trucks to be assembled in America. The latest model is available from an affordable price and offers a towing capacity of more than 10,000 pounds, when properly equipped. Rugged, upscale styling and a bold grille are just a few aesthetic tweaks that drivers are sure to love. The Toyota Tundra sees the addition of new active safety technologies for the model year. An available sport package offers more aggressive styling than ever before.